Rexene Daley and Lisa Barrett work on the cod fillett line at the Icewater Seafood plant in Arnold’s Cove, NL on Tuesday, November 14, 2017. Tony Cobb is seated at his usual table at the Chester Fried Superstop, a roadside gas station and convenience store that serves some of the best fish and chips on Fogo Island. He is midway through an explanation of how he is reinventing Fogo's cod fishery when a waitress delivers lunch. Mr. Cobb, a businessman-turned-social entrepreneur, stares down at his crispy, golden cod fillets. Turning a fork on its side, he splits a piece at the fattest part, revealing thick, concentric layers of white flesh that he likes to dismantle one by one, as if handling a Russian nesting doll plucked from the sea. His ritual is interrupted every few bites by the coverall-clad fishermen who approach the table after paying for their gas. In baymen's accents and with hands held chest high, they tell Mr. Cobb, whose new fish business offers the best price for top-quality northern cod in Newfoundland, about the huge, gleaming fish they've been catching. The late fall yields the best cod of the year, from "foxy" reddish ones to black-backed hulks. These are not fish tales, and Mr. Cobb is happy to banter. But when the fishermen turn away, his eyes darken: His mind has wandered out of the diner and into the bleak murk of fishery politics. Then he leans across the table, whispering in a low voice: "What's going on with cod is unspeakable." Tony Cobb, president of Fogo Island Fish, poses with a dish made from his product: wild, hand-lined North Atlantic Cod, at the at the The Chase Fish and Oyster restaurant in Toronto, Friday November 24, 2017. A quarter-century after the waters off Newfoundland were fished clean of cod, prompting the government to declare a moratorium that devastated the province, the mighty fish is finally making its comeback. Its timing could not be better. The lucrative shrimp and crab stocks that gave fishermen their footing in the post-cod era are now faltering, and the government has slashed harvester quotas. Fishing communities are once again suffering; unemployment here is almost 15 per cent, the highest in Canada. The province's finances, hit hard by the collapse of oil prices, are in shambles. Newfoundland appears to need cod now more than at any time in the past 25 years. And this year, despite the fact there is still a moratorium in place, the government allowed fishermen to catch and sell more cod than ever in that period. But scientists who monitor the fish say there are alarming signs that the stock, still classified as "critical," is already under too much pressure. The threat of another collapse hangs over the province's fishing communities, including those on Fogo Island, where disruptors such as Mr. Cobb are calling for a reorientation of the industry to prioritize sustainability – of both cod and the small communities that have fished for centuries – over a high-volume fishery designed to maximize profits for shareholders. "When you have abundance, you don't have to be so careful. That's not so with cod," Mr. Cobb says. "If we fail the fish, the fish will fail us. We're all going to have to live somewhere else." A box of of wild, hand-lined North Atlantic Cod from Fogo Island Fish is posed at the The Chase Fish and Oyster restaurant in Toronto, Friday November 24, 2017. 2J3KL: In global fishing circles, this five-character combination is an iconic code for what was once the richest northern cod stock in the world. Allocated as such by the Northwest Atlantic Fisheries Organization, 2J3KL stretches down the east coast of Labrador to Newfoundland's Grand Banks. Since the commercial cod fishery was shut down in 1992, leaving 30,000 fishermen unemployed and tens of thousands more people out of work, a pall has hung over the entire area. As the moratorium stretched endlessly on, families moved away and fishing communities combusted, a question endured: Would the cod ever return? The answer arrived in 2015 in the form of a paper titled "Northern cod comeback." It was published in the Canadian Journal of Fisheries and Aquatic Science by Memorial University scientists George Rose and Sherrylynn Rowe, two of the country's top authorities on northern cod. The data behind their pronouncement had been building since 2008, when the pair recorded the first notable stock biomass increase since the early 1990s. By 2014, the scientists had enough data to state with certainty that the cod stocks off Newfoundland were growing rapidly, at annual rates approaching 30 per cent. It was, they wrote, a "remarkable comeback." But stocks were still not healthy enough to support the intensive industry that peaked in the 1960s, when harvesters pulled up about 800,000 tonnes of cod annually. Mr. Rose and Ms. Rowe urged "continued protection from excessive fishing" to keep growth on track. Less than six months after that paper was published, federal government scientists at Fisheries and Oceans Canada (DFO) released their first assessment of 2J3KL cod in several years. Stock assessments are dense scientific documents used to inform policy-making decisions. But the 2016 northern cod assessment was likely one of the hottest reads the DFO has ever published. Basically, it was official confirmation that northern cod had returned. But the DFO scientists also cautioned that stocks remained "in the critical zone." At about 300,000 tonnes, the spawning stock biomass (a key metric used to measure fish stocks) off Newfoundland was only a third of the 900,000 tonnes that scientists agreed ought to be reached before commercial fishing was reopened. "Removals from all sources must be kept at the lowest possible level until the stock clears the critical zone," the government scientists wrote. Policy-makers, though, are not bound by scientists' advice. Mr. Rose, the academic, had long worried publicly about what that might mean for cod. Back in 1997, just five years into the moratorium, he told author Mark Kurlansky that he feared that once the biomass recovered to as much as 300,000 tonnes, "there will be an unbearable pressure to fish it." Petty Harbour, NL on Friday, 10 November 2017. The fishing community is just outside St. John’s, Newfoundland. Based on a proposal submitted by an upstart industry group called the Newfoundland and Labrador Groundfish Industry Development Council (NL-GIDC), federal fisheries officials in 2016 expanded what they called the "stewardship" fishery. It allows licensed harvesters to fish and sell a small number of cod commercially, but not usually enough to make a living. But with shrimp and crab quotas falling, harvesters needed something to fish. The GIDC won it for them. The 2016 increases allowed fishers to take double the fish they were allotted in 2015 and allowed them to do it wherever they could find fish (previously, harvesters were limited to fishing in their own communities). At the end of the season, about 10,000 tonnes of 2J3KL cod had been fished. This year, harvesters' luck continued. Despite signs that cod stock growth had slipped from its 30-per-cent year-over-year track down to single digits – and reports from fishermen that cod seemed less plentiful than in recent years – fisheries officials expanded the 2017 stewardship fishery even more. Based on another GIDC proposal, the government said cod harvesting could begin in June instead of August. It also blew up the allowable catch. With almost 2,000 licensed fishermen, the fishery was looking at a potential seven-fold increase over 2016 – to 70,000 tonnes. "If everyone in the province that is allowed to catch cod went out and caught what they are legally allowed … it would be a staggering number," Ms. Rowe said. The policy set off alarms among her colleagues and in some fishing industry circles. While scientists agree that some small-scale fishing is acceptable, no one knows yet how much will cause harm. "The decision to increase cod fishing in 2017 flew in the face of science," she said, adding: "This is one of those few instances where the science is really unequivocal." Staff at the Icewater Seafoods processing plant in Arnold’s Cove, NL on Tuesday, November 14, 2017. Icewater Seafoods, in tiny Arnold's Cove, Nfld., is the only plant in North America that processes cod and no other fish. 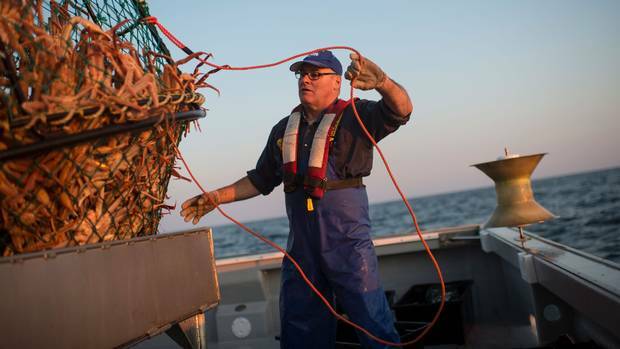 Alberto Wareham, a seventh-generation cod man and CEO of the company, has managed to keep both his family, which owns Icewater, and Arnold's Cove, which relies on it, in the cod business throughout the moratorium. But it was – and continues to be – just by the skin of everyone's teeth. Mr. Wareham is the largest cod buyer in Newfoundland but he can rarely buy enough. Lately, he runs his plant below 50-per-cent capacity. When there is no local cod available, he buys from other regions such as Iceland, processes the frozen fish and ships it back to Europe, which makes up 90 per cent of his market. His margins have long been tissue-paper-thin. "If we were running this in a true corporate style with a profit mentality, the plant wouldn't even be here," Mr. Wareham said. He and his father, Bruce, are determined to keep the plant going: They employ 200 people, a quarter of the town, and don't want to face them "at the post office, lining up for their cheques." If they are lucky, Icewater's employees get 32 weeks of work per year. It would make sense, then, for Mr. Wareham to be demanding increased allowances to fish 2J3KL cod. But he has no plans to join the chorus. "If I was being selfish … I'd say let's go and catch every frigging fish we can. But I can't and I won't," he said, adding: "I don't want to destroy cod in Newfoundland." Really, nobody does. But this may be the only commonality among the various groups concerned with shaping the future of cod. President and CEO Alberto Wareham of Icewater Seafoods at the processing plant in Arnold’s Cove, NL on Tuesday, November 14, 2017. "We want the stock to grow, too," said Jim Baird, chairman of the GIDC industry group. Comprised of processors and harvesters, the group has heavily influenced cod rules since it formed with the express purpose of doing so in 2016. A central pillar of its argument is that industry members, which haven't dealt with much cod in 25 years, need to ramp back up for it. Most of the GIDC's recommendations so far, including that harvesters be allowed to take more fish – from wherever they can find them, over extended seasons – have been adopted by the federal government as policy. Policy documents even go so far as to state they are based on GIDC proposals. In the coming year, the group is expected to request the longest fishing season yet and even bigger quotas. And they are widely expected to have those wishes granted. "It's about trying to set the conditions to allow cod to grow and protect communities," Mr. Baird said in explanation. His rationale is the same one conservationists use to oppose him. They worry Newfoundland's fishing communities are en route to finding themselves without any cod to fall back on. This is the opinion of Tom Best, a fisherman from Petty Harbour who has been on the water since he was "knee-high to a grasshopper." For years, his insights were sought by policy-makers and scientists, although none have come knocking since the GIDC was formed. "There hasn't been much consultation with people who have been known to be responsible," Mr. Best said. Years before the moratorium was in place, when large numbers of harvesters adopted gill nets that allowed them to pull up massive quantities of cod efficiently (though not always in the best condition, as fish are not usually still alive when pulled up in these nets), Mr. Best and most other fishermen in Petty Harbour took the controversial position of having the nets banned because of the damage they caused to fish, markets and profits. "We were just producing high volumes of bad quality cod products, sending it to market for low prices," Mr. Best said. Harvesters in Petty Harbour stuck with the old method of handlining, in which cod are caught one at a time. The fish are pulled out of the water still alive this way, with minimal stress and bruising. Their quality remains high and fetches top prices, meaning fishermen need to take fewer fish out of the ocean to make ends meet. Mr. Best was ramping up to advocate for more of this kind of harvesting when the moratorium shut down everything. Now that the time to lobby for a new way of cod fishing has come around again, he and his cohort are not geared up for a fight. Most are retired or heading there shortly, albeit with concerns that the opportunity to fix the way cod is fished will be Newfoundland's last shot at it. "We've opened the cod fishery back up in nearly a commercial way. We're on a path … and it could get a lot worse," Mr. Best said, adding: "If we had the right thinkers, there's a great opportunity to do things different and to do it right." Tom Best, of Petty Harbour, Newfoundland on Friday, November 10, 2017. The longtime fisherman now uses “hook and line” to fish for cod. Up north on Fogo Island, Mr. Cobb recognizes the opportunity and is hustling to seize it. Fogo Island Fish, started two years ago, is what he calls a "social business" because it is designed to funnel as much profit as possible back into the local community. The company began as an experiment to see if there was a market for premium cod in Central and Western Canada at restaurants that feature local and sustainably harvested food. Before Fogo Island Fish, northern cod was not available to them. The project also sought to test whether Fogo Island's dwindling fishing communities could be revitalized by supplying their best catch directly to high-end chefs. With backing from the Shorefast Foundation, a charity Mr. Cobb founded with two of his siblings, including CEO Zita Cobb, Mr. Cobb began offering local fishermen double the usual market price for their catch (most fishermen sell directly to processors or middlemen, who pay a provincially set price per pound, never more). Mr. Cobb is not a processor and is not bound to pay set prices for fish. His substantially higher rates proved an incentive for his long list of demands, which include that cod must be caught during the fall season, when the fish are at their healthiest and heaviest, meaning it takes fewer to meet quota. They must be caught with traditional handlines, never with gill nets. The fish must also be bled at sea and iced immediately to preserve their quality. Mr. Cobb has the fish sliced into fillets by hand at the community-owned processing plant. All plant employees live on the island and derive benefit from Fogo Island Fish in the form of extra wages. The fish they produce are then sent on to top-flight restaurants across the country. A dish made with wild, hand-lined North Atlantic Cod dish made from Fogo Island Fish, is posed at the The Chase Fish and Oyster restaurant in Toronto, Friday November 24, 2017. Mr. Cobb, who does not take a salary, has built up the business significantly over the past two years and says it has funnelled tens of thousands of extra dollars into Fogo Island communities. He has also grown more convinced that the future of Newfoundland's cod fishery must skew heavily toward small-scale, artisanal production of centre-of-the-plate fillets and away from frozen fish sticks. His commitment to his community is to preach this to everyone who will listen. "As long as we continue to take natural resources and harvest them as commodities, we will not unlock their economic potential," he says. In global markets, Newfoundland's cod has been dwarfed. While the province will harvest about 22,000 tonnes from its three main cod stocks this year, Iceland will pull up more than 250,000. The new cod fishery, Mr. Cobb argues, ought not be strained to compete globally. Instead, should it not be set up for the historic fishing communities that might be saved from resettlement if they can rebuild their local economies? "It's a question for what we're optimizing for," he says. "This is putting the community back into the fish business and the fish business back into the community." 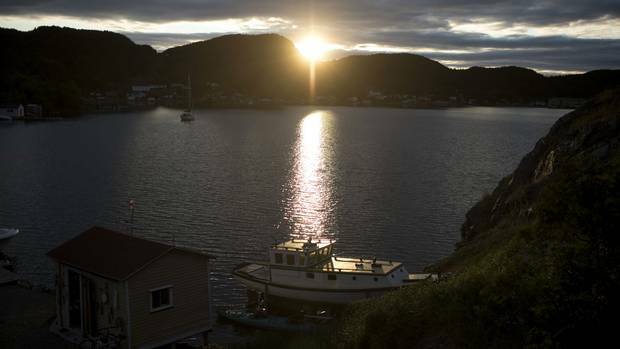 Is the sun finally setting on Newfoundland’s outports? In Little Bay Islands, the aging population's debate over relocation illustrates how rural communities are reluctantly calling it quits with the province’s help, Lindsay Jones reports. Investigation: The fishing industry's deadly toll Despite safety gains in many other industries, fishing continues to have the highest fatality rate of any employment sector in the country. Tavia Grant investigates why. Editor’s note: An earlier version of this story included incorrect information on when cod stocks peaked. Stocks were strongest in the 1960s, with about 800,000 tonnes of cod annually. Also, Tony Cobb is president of Fogo Island Fish, not the owner.